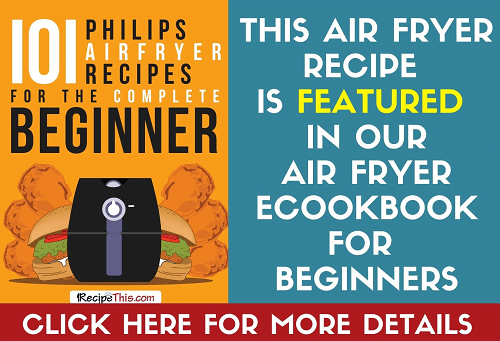 Welcome to my guilt free Airfryer vegetable fries recipe. I had a conversation recently with a girl I went to school with when I lived in England. We have brought our kids up in different countries and as such their diets are completely different too. The one thing she is ALWAYS complaining about is how fussy her kids are. Naturally they all like chicken nuggets and other processed foods as they wouldn’t be kids if they didn’t enjoy all of that. BUT when it comes to vegetables another story occurs. One will only eat garden peas, another with only eat canned carrots and the third and fourth wont touch vegetables at all. Yet I look at my son and apart from a hatred for brussel sprouts and peppers he will pretty much eat all the vegetables. Though if I offered him a carrot out of a can he would probably have an issue with it as he is educated in processed foods and would rather have something fresh. He particularly loves broccoli, cauliflower, courgette and carrots and I am really proud of what he eats. But when I mentioned to another friend how fussy her kids are with vegetables she mentioned to me that it was the norm in America. She put it down to culture and the fact that because kids are not introduced to vegetables at a young age that none of them would eat them. I thought it was such a pity and as such I am always looking for new recipes for the fussy kids that introduce vegetables to them, just not in the regular way that they are used to. At least that way you can have them eating vegetables a lot more. This is why this vegetable fries recipe is perfect. You get to give them three different types of vegetables when they come home from school and with just a little olive oil it is perfect for their healthy lifestyle. I am also certain it will soon have them eating vegetables without protesting! Start by peeling your carrots and sweet potatoes. Chop up your sweet potato, carrots and courgettes into chunky chips shape. Place them in the Airfryer with the olive oil and cook for 18 minutes at 180c. At 5 minutes and 12 minutes give them a shake so that they are all cooking evenly. Once cooked place them in a bowl and add the seasoning. Shake well and then serve. You can also use other vegetables in this recipe if you prefer. We also love to use butternut squash and pumpkin when we have some spare.